You know I'm a huge Disney fan. Especially of the man himself, Walt Disney. I tend to fall for the vintage side of all things Disney in Pop Culture. That's why I prefer, of all of the Disney theme parks, Disneyland as my favorite. This year being Disneyland's 60th Anniversary I had every intention of visiting Anaheim on July 17th, the day the Happiest Place on Earth officially opened. However, I got asked to be a pesky Broadway show! The whole visit had to be cancelled so that I could be in NYC to make Broadway dreams come true. I decided to start a series of Dubsmash videos to count down the month leading up to July 17. Dubsmash is a fun app on the iPhone that allows you to lipsync to 10 seconds of whatever you want to. I've found the app to be a fun spiral into time wasting, but nonetheless creative fun. 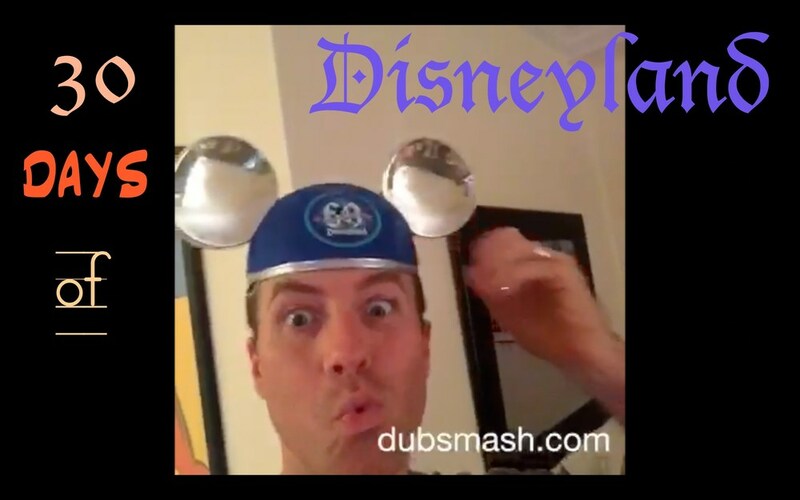 In my Dubsmash videos I did what I called #30DaysofDisneyland. I took you on a tour of Disneyland via a tour of New York City. It was a great way to help me escape the realities of the city and try to transport myself to my happy place. In those 30 days a lot happened as you'll see in the video: Gay Marriage became legal in the USA, and I opened Amazing Grace on Broadway, and I also took you to Central Park, Bryant Park, Madison Square Garden, the Natural History Museum, and Times Square just to name a few locations! Hopefully I'll be able to get to my favorite place before the 60th Anniversary Diamond celebration completely disappears. Until then I'll keep living vicariously through all of their social media. Make sure to give the video a thumbs up, and share with others. If you want to see more of my dubsmash videos make sure you follow me on Instagram. Also feel free to send me any ideas you may have for more videos like this!